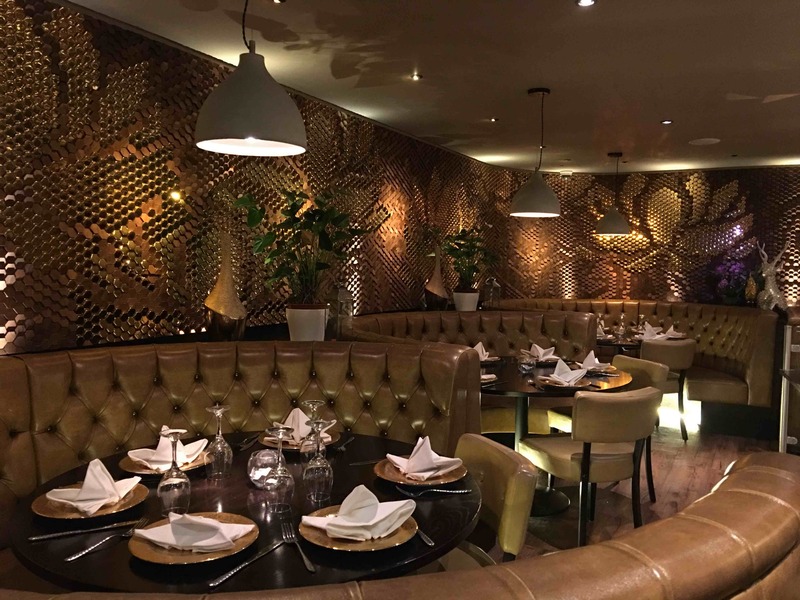 Our flagship site in Leeds City Centre restaurant, on South Parade, is the perfect place to enjoy authentic Thai food in the heart of Leeds; be it for business or pleasure. 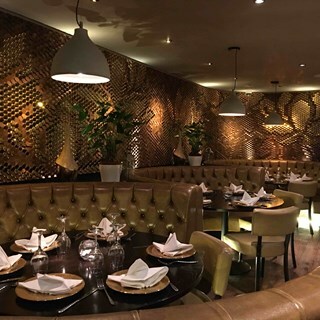 Now featuring a fabulous lower dining floor and VIP room, it’s the best place to enjoy all the usual Sukhothai quality and excellence; including our acclaimed 200+ dish à la carte menu, Khao Gang/Lunch menu and the ever-popular Sunday buffet. 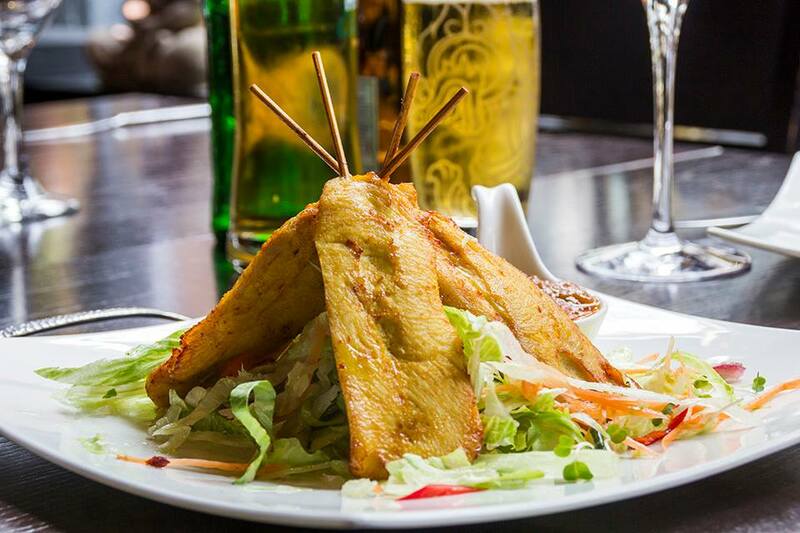 A fabulous meal in fantastic surroundings. The staff were helpful, professional and attentive. Our food was served quickly and was delicious. We will definitely be returning in the near future. 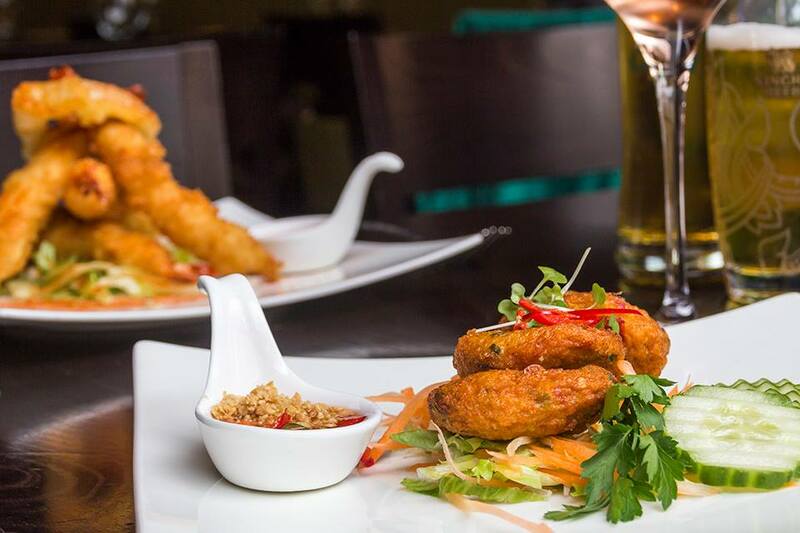 Delicious food, friendly service. Teenagers loved the mocktails! For a large restaurant the service and food was not compromised. A little noisy however some would prefer this atmosphere and consider it lively. A lovely meal and evening yet again and can easily recommend to others. Superb. Simply superb. Love eating here when I visit Leeds. Went for a birthday meal, enjoyed the happy birthday celebration at the end. Fab food, great atmosphere. The only negatives were the large upstairs space can be very noisy, with no partitioning or soft furnishing to absorb sound. And  the steamed fish was dry and inedible. When we complained, the staff smiled. I suspect they couldn't hear us. Those aside everything was exceptional as usual - food, service and ambience. Food excellent , extremely tasty !! Will definitely be back ! 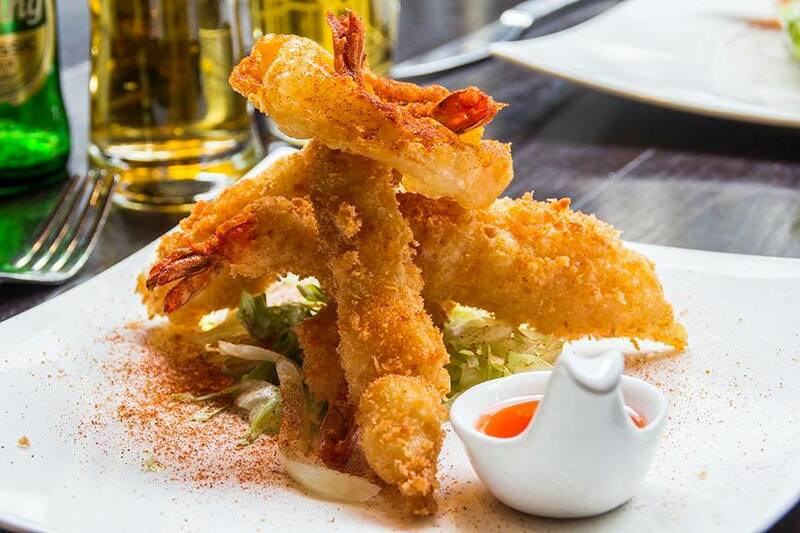 I never usually go to Thai restaurants but after visiting here I definitely will be returning. Great food and fast friendly service. Booked for a birthday treat, this was our first visit. Been to a Thai restaurant before and wasn't all that keen, but Sukhothai was in another league. Everyone enjoyed their food. Staff were very friendly and efficient. Loved the look and feel of the place. Thank you very much for a wonderful evening. Loved the birthday celebration for my son. We will definitely be returning for more. 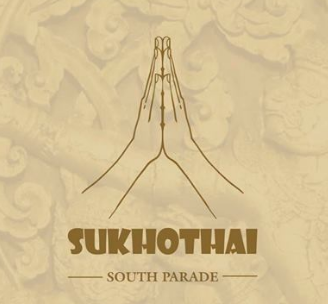 We had an absolutely fantastic evening at Sukohthai, the service was impeccable, the food excellent and a fantastic atmosphere. Would highly recommend to anyone, the menu is huge with so much choice and the food we had was delicious. Such friendly staff and amazing food! The restaurant is very crowded,  tables are very close to each other. Drinks for our group were brought on turns meaning we had to wait for all to make a toast. Food was not very exciting -  few chillies added for a kick but rest is very British,  not too Thai. Same with desserts only one option  for traditional Thai dessert out of whole page. 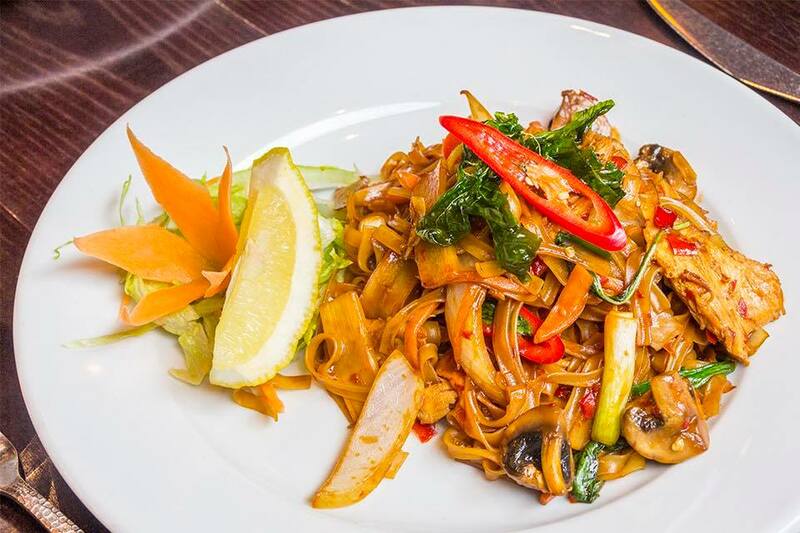 Remember to order rice/noodles for your main as you have to pay for it extra. Expected Thai experience but not quite delivered. The atmosphere and service were very good, if the lunch menu has more variety, it would be better.